The Chestnut Cabin has a King size bed fitted with luxury linens. The full sized bathroom has two sinks, a dual head shower and a jacuzzi tub. The living room is spacious with a stone fireplace to cozy up next to in the winter months. The back porch also has a fireplace. The cabin is equipped with a morning kitchen including a toaster, coffeemaker and small fridge. 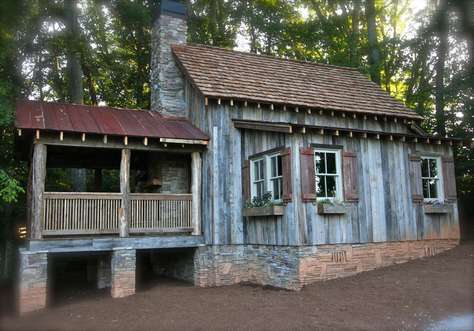 The Parker is a 2 bedroom rustic yet elegantly comfortable cottage. The master bedroom has a Queen Sized Bed with a headboard you have never seen before! The other bedroom has two twin beds. It is equipped with a full sized kitchen and laundry room. Only 8 miles from downtown Asheville. You will find this Cottage cozy and comfortable. 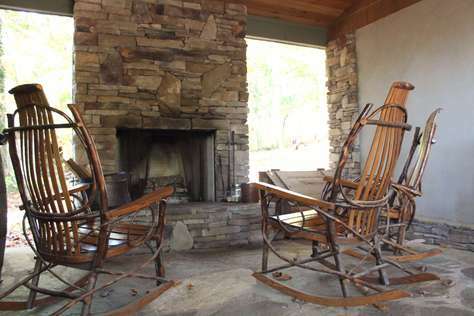 The Cooper Cottage is a two bedroom cottage in Candler, NC only 8 miles from downtown Asheville. The master bedroom has a king sized bed and a private bathroom. The second bedroom has two twin beds and a separate bathroom as well. The Cooper cottage is equipped with a full sized kitchen including a refrigerator, dishwasher, microwave and oven. The living room has Cable TV. The cottage has 2 bedrooms. 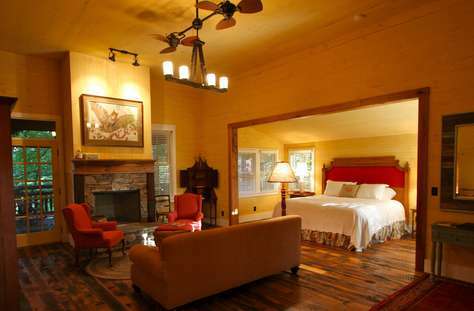 Bedroom #1 has a king-size bed, an en suite bathroom and a sliding door that opens onto a private back porch. Bedroom #2 has bunk beds, and a twin bed with a trundle. There is a second bathroom located just outside this room. 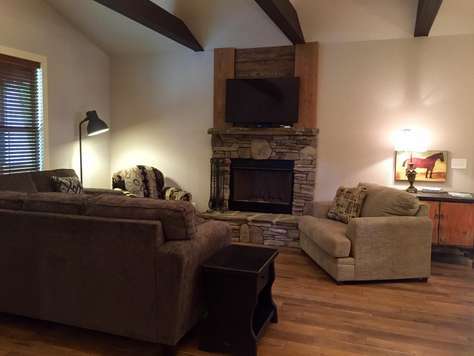 The cottage has a full kitchen and a large living room with a wood-burning stone fireplace. Very cozy in the winter months! Guest Access: You will have full access to the whole cottage. This is not our home and does not have any personal belongings in it...so everything out is for your use. Guest Interaction: We live in a separate home on the other side of the property and may stop by for a quick hello. 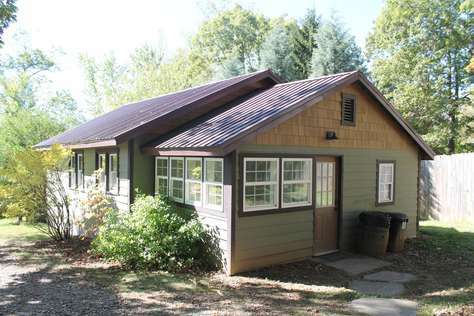 There is an office on the property to manage our Event Venue plus our seven cabins/cottages. The office is open from 9:30 to 5:00 and our staff would be happy to answer questions. Other Things To Note: Schedule permitting, we offer cooking classes, culinary escapes and beer pairing dinners right here in at the Chef’s Table. Our award winning Executive Chef, Mike Ferrari, will ensure it is a real treat! Contact us to see if there is anything scheduled during your planned visit! 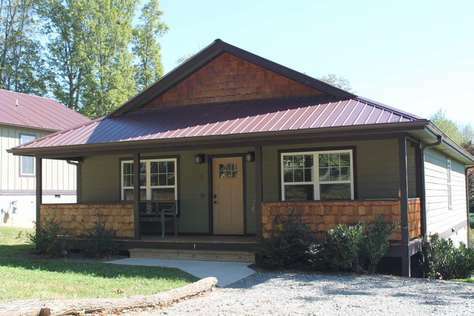 Cricket Cottage is a beautiful home with 3 bedrooms and two full bathrooms. 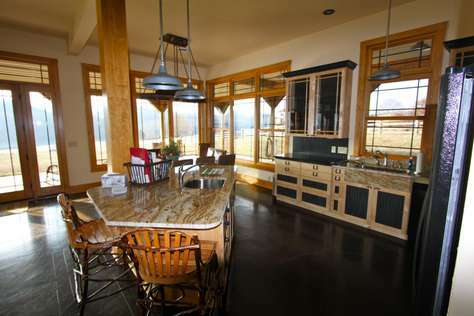 It is beautifully furnished with a living room, full kitchen and dining room. 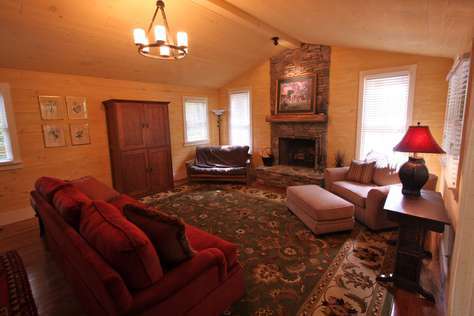 The cottage has a gas fireplace and a cozy furnished porch. Sunny loft apartment in West Asheville, tucked behind our office. This little 1937 gem has just been completely renovated and is as crisp and clean as they come! Lush linens, a fully stocked kitchen and a divine shower make this little get away a great place if you are looking for a private place to stay in while adventuring through Asheville. Just a 3 mile drive to downtown, the river arts district or the south slope. Only 5 miles to the Biltmore House. Eagle Crest Lodge located in Abingdon, VA close to the Bristol Speedway. The Lodge is secluded but only a few minutes from downtown Abingdon and, of course, the Creeper Trail. It has two master bedrooms each with their own bathroom, another bedroom with a queen size bed, and two more bedrooms upstairs with two bunk beds, queen size bed and bathroom access. 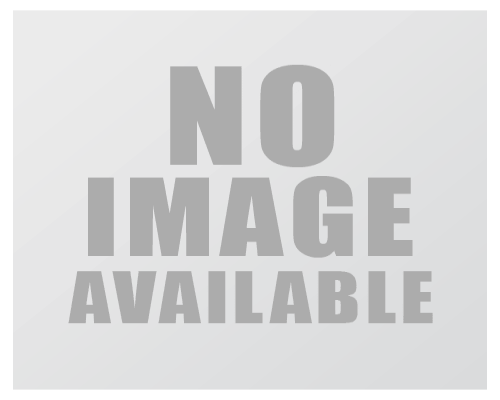 With 3 acres of pasture leading down to the Lake there is plently of room for kids to run around and play. Lodge has private dock access for swimming and boats. The Lodge can promise an unforgettable stay!